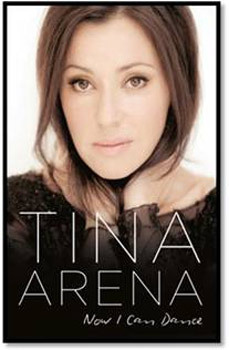 Honest and intimate, funny and frank, Now I Can Dance is the long-awaited memoir from the very special, much-loved singer, songwriter and pop diva, Tina Arena. Over the course of her extensive career, starting as an eight-year-old star of Young Talent Time, Tina has amassed a cache of amazing stories. The artist who gave us Chains, Sorrento Moon and Symphony of Life has sold eight million albums, won a swag of awards, encountered extraordinary people, fallen in and out of love, and experienced incredible highs and lows. Through it all, Tina has sung her heart out, and her songs have provided the soundtrack to our lives. 'I don't know what I would do if I couldn't write and sing. It makes me who I am, regardless of where I happen to be or what language I'm speaking. It has done since I wrote my first song and sang it to myself in the shower. It's as natural for me as breathing. Filippina Arena sings to live and lives to sing…"
Almost four decades in music has seen Tina on a journey – a journey of self-discovery and self-fulfillment. Hers is a truly joyful and inspiring story of a woman achieving success on her on terms, in her own way. And now she is sharing her life, for the very first time, with us. Now I Can Dance is an uplifting story of love, family, laughter, determination and - of course - song. Tina Arena is also pleased to announce the release of her new studio album Reset on October 18. A collection of intimate and honest songs, Reset brings one of Australia's most loved and successful artists back to the forefront of the musical landscape. The first single from the album, You Set Fire To My Life, will be available September 27th, 2013. Recorded in Stockholm, Paris, Sydney and Melbourne, Reset features tracks produced by Boy Blue (P!nk, John Legend), Danton Supple (Coldplay, Morrissey), Robert Conley (Darren Hayes, Georgi Kay), Dann Hume (Alpine, Lisa Mitchell, Evermore) and Tina Arena herself – the first time she has coproduced tracks on an album.